Double-click on a message so that it opens in a new window. In the ribbon (the very large row of buttons and commands) that appears near the top of the window, look for the section labelled "Options"
In the bottom-right corner of the "Options" or “Tags” section, there is a small square icon. Click on that to open the "Message Options" window. 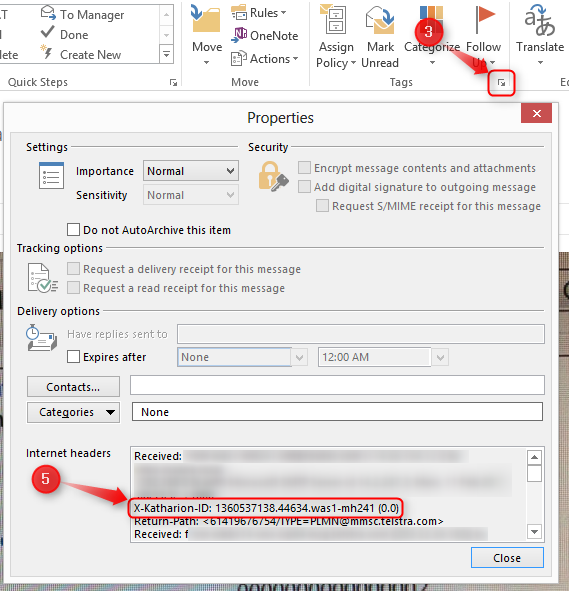 At the bottom of the "Message Options" window is a section labelled "Internet headers." The full header information, including the "X-Katharion-ID," appears in that box. 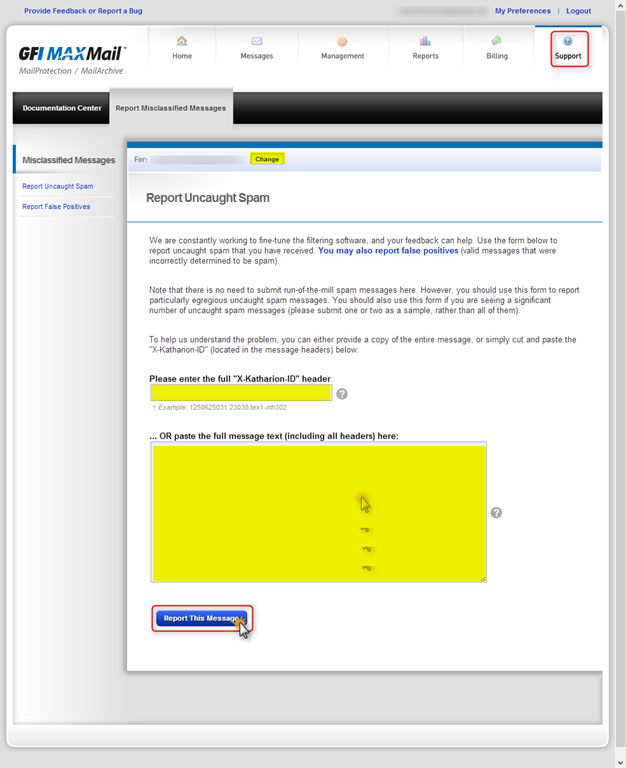 Highlight and copy the entire contents of this window and paste them into the "Full message" area of the form, along with the full text of the message. Or, simply highlight and copy the alphanumeric code that appears after "X-Katharion-ID:" in the headers, and paste that into the "X-Katharion-ID" box in the form. 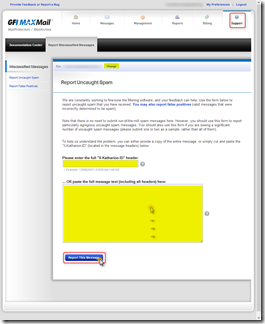 To Access the Page in GFI where you can report spam. Ensure you have chosen the correct domains. you can change the domain by clicking on the Change button. 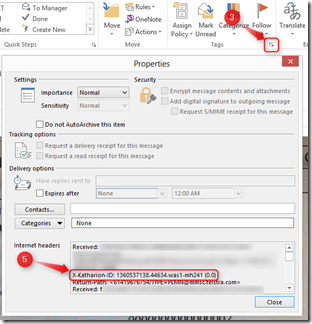 and as stated in step 5 above, copy the the alphanumeric code that appears after "X-Katharion-ID:" in the headers, and paste that into the "X-Katharion-ID" box in the form.